CONFIDENTIAL audit reports, both local and foreign which Petrotrin paid hefty sums of money to obtain upon which it acted in the takeover of A&V Drilling oil wells, has nevetheless made damning condemnation of the State-owned company’s crude oil measuring systems. One such report revealed a 13-year-old lapsed agreement between Atlantic LNG and Petrotrin and the latter company’s failure to bill Atlantic LNG for US$5,000 a year for maintenance of a pipeline for the past six years. Among the reports is Canada Kroll’s forensic audit into A&V ‘escalated’ crude supplies to Pointe-a-Pierre refinery which is at the heart of the January 1 seizure of A&V’s Catshill fields in Barrackpore owned by businessman Nazim Baksh. Newsday has learned from a reliable source at Petrotrin which is holding $800 million of A&V ‘fake’ oil earnings, that moves are afoot to hand over the Catshill fields to another private drilling company. On Friday, a media release from the Ministry of Energy said minister Franklin Khan wrote to Petrotrin’s chairman Wilfred Espinet and requested a report on an internal August, 2017 audit report headed: “Controls Governing Transmission of Crude.” That report was revealed by A&V’s attorneys Ramesh Lawrence Maharaj SC, as having been compiled by a Petrotrin internal audit team, along with the Kroll and Cline reports. Petrotrin has since maintained that it acted on the Kroll and Cline reports in seizing A&V’s Catshill wells when it began probing oil ticketed to A&V for crude supplied, but which never reached the refinery. Apart from A&V, there are 18 independent contractors who supply crude oil to the refinery. Petrotrin relied on the Kroll and Cline reports to seize A&V wells on the basis that the crude measurements ticketed, did not mesh with actual supplies to refinery. Yet page four of the Cline report, referencing the internal audit report, said, “Internal audit issued a second report which reviewed petroleum processes and facilities involved in the transmission of crude from its fields to Pointe-a-Pierre. The recommendation was made to correct certain indentifiable deficiencies in the inaccurate measurement.” The Cline report was signed by project manager Stewart Traver. Petrotrin’s first internal audit report was on August 17, 2017, which was made public by Opposition Leader Kamla Persad-Bissesar on a political platform. The second internal audit said that for the past 13 years, Atlantic Energy, Point Fortin, supplied Petrotrin via a pipeline from Trinmar, with condensate which is a light hydrocarbon. Mere days before the Kroll and Cline reports, Petrotrin’s Chief Audit executive Rajkumar Bissessar who prepared the audit headed ‘Controls Governing Transmission of Crude’ said that Altlantic LNG sends condensate directly to Petrotrin daily, but it is not measured by Petrotrin, neither has it accounted for since October 2017. Petrotrin is unable to verify the volume pumped by Atlantic LNG and the agreement between the two companies dated February 23, 1999, expired in 2004. “Thirteen years have lapsed since its expiration and Internal audit saw no evidence that the terms of agreement was extended. Despite this, Atlantic LNG has continued to supply condensate to Petrotrin to date,” the report said. The audit report recommended that vice president of exploration and production should determine whether any additional maintenance cost incurred for the condensate line exceeding $5,000, and present it to Atlantic LNG for reimbursement. Secondly, that Atlantic LNG invoiced for maintenance fees for the past six years outstanding. 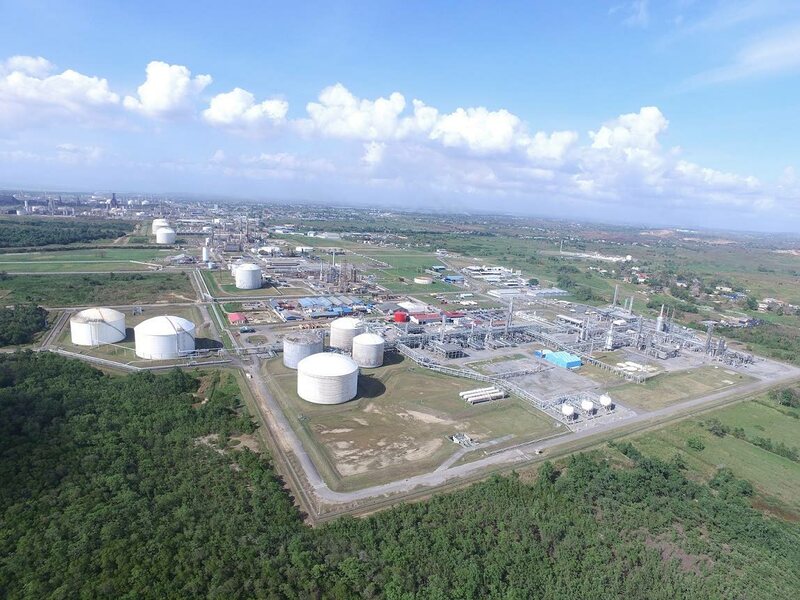 Reply to "Petrotrin buying ‘questionable’ gas"